Sudip Chatterjee was inconsolable. The famed hard-man broke down into tears in Calcutta Hospital; PK Banerjee couldn’t control his tears either. Krishanu Dey was no more. Krishanu, the man who was dubbed affectionately as “Indian Maradona” for his lethal left foot. Kolkata was warming up to the prospect of one of its favourite sons lifting the world cup, peppy mood of the city suddenly took a beating on hearing the loss of one of its finest footballers. Bengali footballers were famed for their delicate ball skills in previous decades. The trend that was started by Nilmadhab Bhattacharya, Chone Mazumdar, was successfully carried on by Chuni Goswami, Surajit Sengupta. Krishanu Dey was a natural heir to this stellar company, sadly, one of the last of his kind. Born in February, 1962, Krishanu started playing football from a tender age of ten years when his father enrolled him in Veterans Club. Few years later, he first grabbed the attention of the football fraternity during an IFA-Horlicks football camp. In 1979, he started his senior career with Police FC before moving on to Calcutta Port Trust. Dey was part of the Railways team that reached back to back Santosh Trophy finals in the early 80s, losing both. In 1982, Krishanu moved to Mohun Bagan amidst skepticism. He was after all, a frail young man who gave the impression of one lacking fitness! His doubters were soon proved wrong as he began showcasing his god gifted talent. Krishanu had a unique playing style – his technique was solid and he could easily beat an opponent defender with his tight dribbles and sudden acceleration. What made Krishanu really unique was his peripheral vision and array of passes. He had this uncanny ability to slip in through balls to split an entire defensive line. Playing on the left side of central midfield he would act as the link man between deep midfield and strikers. Often playing as a striker during his initial days, Krishanu would develop into a playmaker per excellence. He was popular for the effortlessness and lazy elegance of his play. In Mohun Bagan, Krishanu formed a lethal combination with wingers Manas Bhattacharya, Babu Mani as the club won the Rovers Cup, Federation Cup and IFA Shield in 1982. Krishanu continued his form next season as Mohun Bagan captured the Calcutta League title, first one since 1979. 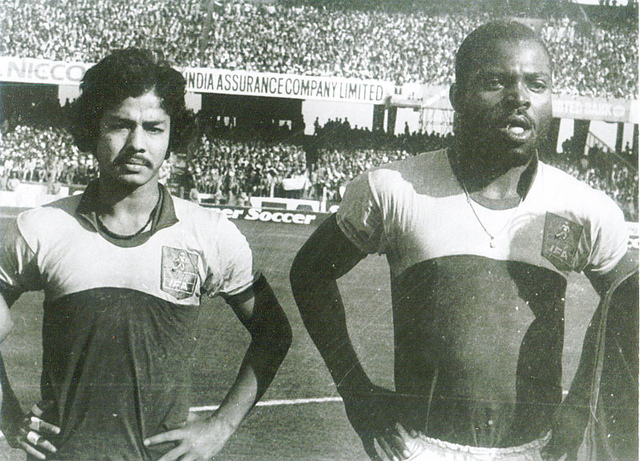 Mohun Bagan captured a League-Shield double in 1984. Krishanu achieved superstardom in Mohun Bagan but there was something more. The year he joined Mohun Bagan another midfielder joined from Salkia Friends – Bikash Panji. Panji eventually turned into Krishanu’s closest friend and ally, both on and off the field. They played together for almost their entire career and also worked side by side in FCI. Krishanu-Bikash partnership was a thing of legends, a golden chapter that is still fondly remembered. In 1985, East Bengal’s famous recruiter Paltu Das pulled off a major coup by signing the Krishanu-Bikash duo for East Bengal. Thanks to Krishanu-Bikash partnership, East Bengal landed its first Fed Cup-League double in 1985. In 1986, East Bengal lost in Durand Cup final but won the IFA Shield. In 1987, Cheema Okerie arrived and the East Bengal juggernaut began to roll. Cheema top scored with 26 goals in the league – most of them coming from Krishanu’s passes. Between 1987 and 1990, trident of Krishanu-Bikash-Cheema led East Bengal to a hattrick of league titles, back to back Durand Cup wins. In 1990, East Bengal won the treble of Durand-Rovers-Shield, second time in their history since 1972. In late 80s, enduring years of harsh tackles seemed to have taken a toll on Krishanu’s career. In 1987, he suffered from a long and painful cartilage injury which kept him out for much of the 1988-season. Krishanu did make a wonderful comeback in 1989 season by becoming club captain but he clearly lacked sharpness. Arrival of Sayeed Nayeemuddin changed everything. Arriving at a time when East Bengal was struggling in League, Nayeem transformed the team so much that they didn’t lose a single match on their way to the Triple Crown. Nayeem devoted special time on Krishanu giving him weight training and swimming routines. Krishanu’s fitness improved drastically as he played some of his best football between 1990 and 1992. Subrata Bhattacharya, an ace defender in that era, singled out Krishanu as the most difficult player to mark. He recalled the 1987 Airlines Cup final where Bhattacharya had kept Dey under tight marking for most of the game but couldn’t prevent him from peeling away in a moment of genius to score in that game. Krishanu moved back to Mohun Bagan in 1992. By this time, he was starting to age; moments of brilliance were few and far between. Mohun Bagan did win the Federation Cup title in his first season. In 1994, Krishanu-Bikash duo was forced to play for their employers Food Corporation of India (FCI) who started a football team that season. Next season Krishanu broke his long partnership with Panji to return to Mohun Bagan. 1995 was his last season for a big club as he ended his career in 1997 playing for FCI. Overall, he scored 41 goals for East Bengal and 33 for Mohun Bagan other than assisting countless goals. Krishanu’s debut for India was certainly remarkable, during the qualifiers for the 1984 Asian Cup. Qualifying for that tournament was a high point in Indian football after half a decade of bad results. He was a regular for the national team till 1987 before injuries ruled him out. For India, two of his performances were especially memorable. 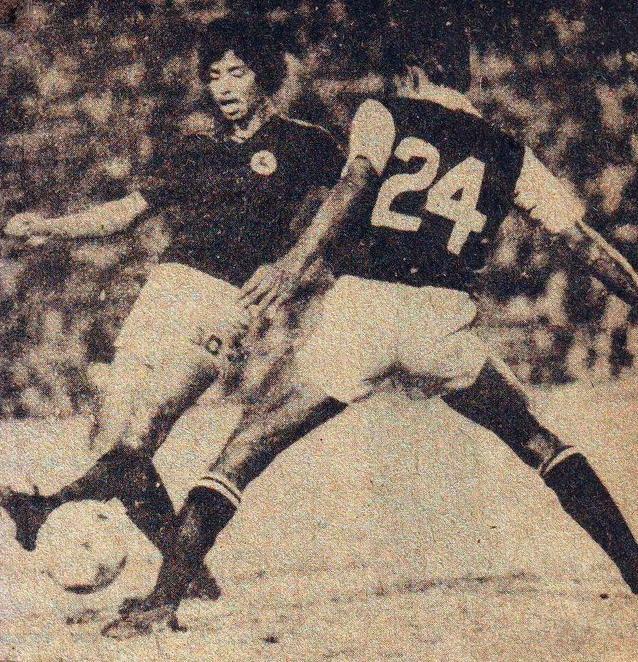 First, a brace against South Korea in 1986 Merdeka Cup during a 4-2 victory followed by a wonderful hattrick against Thailand in the same tournament. Krishanu did play an important part in India winning a gold medal in the first SAFF Games in 1987. Amal Dutta chose to play more defensively solid V.P Sathyen in the first match against Pakistan. India lacked creativity and was held to a 0-0 draw. Dutta started with Krishanu in the following match against Maldives as India ran out 5-0 winners with Dey scoring the last goal. Overall, as most of his peers agree, Krishanu’s weaker physique made him an underachiever in International football. According to Nayeem, he possessed enough talent to be one of the best in Asia had he focused more on fitness during the early years of his career. No other player in Kolkata’s long and illustrious football history has been part of such intense transfer sagas as Krishanu. Recruiters from both clubs would go to any lengths to get his coveted signature. 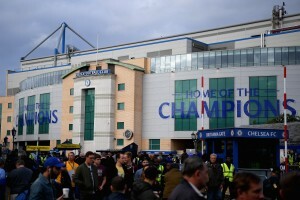 Veteran reporter Manas Chakrabarty, who was often present in eye of the storm in these secret transfer moves, recalls these stories in one of his books. By the mid-80s, East Bengal’s famous recruiter Jibon Chakrabarty was desperate to sign Krishanu and contacted him before the 1984 Asian Cup. Krishanu had agreed to stay in Bagan for the following season for a fee of Rs. 70,000 but hadn’t signed papers. His mother usually had the final say in these things and Chakrabarty made a last ditch attempt to get him. One fine morning he arrived in Krishanu’s house and began sweeping the porch. In embarrassment, Krishanu’s mother had to call him in to stop sweeping. Chakravarty convinced her by offering sumptuous transfer money as well as a job for a relative. Krishanu-Bikash-Cheema had become a thing of terror for Mohun Bagan in the early 90s. In 1990, Tutu Basu, Anjan Mitra and Balaram Ghosh had enough of it and decided to sign all three in a glorious swoop. Manas Chakrabarty was contacted by Balaram to set up a secret liaison with Krishanu. The reporter took him to Tutu Basu’s house in Hunger Ford Street, Kolkata as Basu began initial talks. When East Bengal became aware of Bagan’s plans, Krishanu was secretly moved to Chennai to prevent his transfer. Mitra travelled to Chennai but was tailed by Suprakash Gargari, an East Bengal official. Krishanu was brought to Anjan Mitra’s hotel late night and was on the verge of signing when Gargari burst into the room. He asked few minutes from Mitra to talk to Krishanu who allowed it (a rookie mistake, according to Manas Bhattacharya). When alone with Dey, the East Bengal official pleaded with him saying his prestige would be at stake if Krishanu joined Bagan. Soft hearted Krishanu gave in to Gargari’s demands and ended up signing for East Bengal in last moment. In 1991, Tutu-Anjan tried to sign Krishanu again. That year elections took place in East Bengal and veteran Paltu Das returned to power. His first job was to obtain Krishanu’s word that he would be staying back. However, Krishanu still went to Tutu Basu’s house. On learning this, Nitu Sarkar, Das’ associate, laid siege to Tutu Basu’s house with 300 East Bengal supporters and demanded Dey back. Tutu Basu had anticipated this move and had already shifted Krishanu to a “safe house” near Hind Cinema House. In the end, it took a police complaint in Park Street Police Station to “rescue” Krishanu. Mohun Bagan finally managed to sign Krishanu in 1992. East Bengal defeated Mohun Bagan to win the Airlines Gold Cup on 16th April, Krishanu-Bikash were dropped in their home by East Bengal officials late night after celebrations. Hours after that, deep into night Ajnan-Tutu picked both players from their homes and signed them for a combined advance fee of Rs. 5 lakhs. Soon, the officials left West Bengal borders. By the time East Bengal came to know about this move, the players were out of reach. A war on Krishanu also resulted in these clubs filing complaints in court during Durand Cup in 1994. Krishanu was forced to play for his employers FCI in that season’s KFL and Mohun Bagan officials took offence to this decision. He was allowed to play for Bagan on loan for All-India tournaments like Durand Cup. Loan system was recognized by IFA at that time but not AIFF, so Durand committee refused to allow Krishanu in the competition. As a result, Mohun Bagan lodged a case against the committee as well as East Bengal (who had lodged a complaint regarding Krishau’s loan with Durand committee). In the end, Krishanu was not allowed to play, as Bagan went out in the semi-final. For a player who was loved and admired by one and all, Krishanu’s death was undeservingly tragic. He was injured during an amateur match and got an infection which had to be operated. During his operation he was affected by a virus and contacted pulmonary embollism — due to which a clot of blood that originated in the lower half of his body went on to affect his lungs and finally wore down all the organs. It was a rare case and even rarer among physically active humans. Finally on 20th April, 2003, Krishanu passed away after fighting death for 24 hours. Thousands of fans flocked to the nursing home as did famous personalities from all fields of work – a testament to his eternal popularity. Days later, Indian cricket captain Sourav Ganguly dedicated his century in world cup semi-final to Dey, a player he idolized as a teenager. Krishanu Dey might have passed away but his fame and popularity remains undiminished. His style of play and introvert, gentle nature led to universal adoration.